What is the Isia? “Samhain” for Isis devotees? Today’s post is brought to you thanks to my Facebook friend, Christopher, who asked me about an Isis festival called The Isia. He remembered that it was held in late October, early November, but couldn’t find anything about the details. The dates tickled my brain pretty severely, but I couldn’t drag up any data on it from the depths of my memory pool either. Thank Goddess for libraries, my personal Isis library, and the internet. Turns out the Isia is an Isis festival recorded in a calendar from 354 CE commissioned by a wealthy Roman Christian named Valentinus from a prominent, also-Christian scribe named Philocalus. The Calendar of Philocalus is famous because it contains the first known reference to the Christian festival of Christmas. But for Isiacs, it is important for its inclusion of a different festival: the Isia. 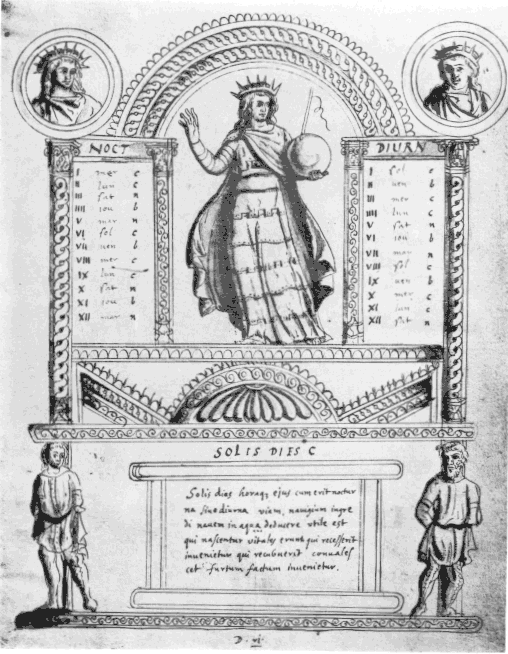 Philocalus records the dates of the Isia as October 28-November 1. Unfortunately that’s it. That’s all we know; that, in Rome, there was a festival of Isis at that time. And thus we have no ancient pattern—or even inspiration— for our own celebration of the Isia, should we choose to honor it. On one hand, this frees us to create our own Isia. Given the time of year, we might choose to connect the Isia with the modern festival of Halloween. Isis is, after all, a Goddess of the Dead par excellence. 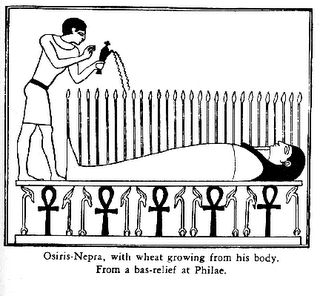 There is much we could do with an Isia in which we remembered our own Honored Dead, for example by speaking their names and making offering in the ancient Egyptian tradition. On the other hand, there is—happily—an Egyptian option for the celebration of the Isia. Though perhaps it should be more rightly called the Osiria. For at about this same time of year, in the Egyptian month of Khoiak, the ancients held a festival for Osiris that remembered His conflict with His brother Set, His death, and His resurrection through the holy magic of Isis. We know of this festival from the period of the Middle Kingdom and have a decent record of it from the great Osirian sanctuary of Abydos. We also know of it from the Osiris chapel in Hathor’s Ptolemaic sanctuary at Denderah. The festival re-enacted the central Isis-Osiris myth (I won’t take the time to recount it here; you all know the story: Isis searching for the scattered pieces of Osiris; finding Him; reassembling Him; mourning Him; resurrecting Him). The Egyptians moulded images of Osiris from the Nile mud, special spices, talismanic stones, and seeds. The images were watered so that the grain sprouted, a fitting symbol of new life. (We should also know that this was about the time of year when the Nile flood was receding so that the fields could be planted with new crops.) 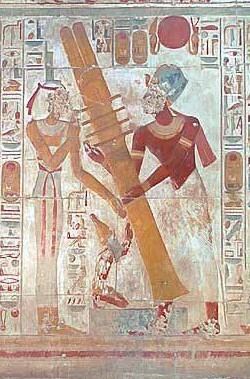 The festival ended with the raising of the Djed pillar, symbol of the resurrection of the God Himself as Lord of the Otherworld. If you are so inclined, this time of year would be the perfect time to re-enact that core Isiac myth. And if you were to do so from Isis’ point of view, it would be a true Isia, indeed. Should you decide to honor the Isia this year—in this way or some other—I would love to know about your experience. 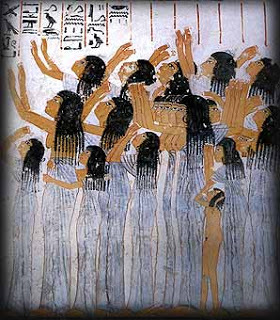 Whether you choose to connect your Isia with the ancient Khoiak festivals of Isis and Osiris, create a Day-of-the-Dead-type Isia, or celebrate some other way entirely, I wish you much depth and beauty in this darkening season of sad, sweet remembrance. May She embrace you always. an Isis FestivalIsis festivalsKhoiakThe IsiaWhat is the Isia? Isia visited me to bring a gift while i was driving down into Phoenix halloween day 2016. Where she came down i wouldnt say she was anywhere up high but more like i would say phased in. She brought me the gift of the secret name of Amun Ra. She then showed me how she felt physical objects around her. They all felt like part of a really big ghost. Like i could feel the energy in the wind and in the car, everything about me. I will give you the secret name of Amun Ra. Each of us feels a connection to everything, and if you combine it with the way a drawing that you draw and you know its yours. You will feel that in every object. This is the secret name of Amun Ra. I give it to you as a gift as it was to me.